My first trip to Boston was only 12 years ago. I was 28 and was finally starting to venture out of the ‘safety’ of the Midwest. I was excited to see the city where American history came alive; I wanted to walk the Freedom Trail, see the where all the famous events took place from Boston Common to the North Church to Bunker Hill. Not only was I interested in the old Boston, but at the time I was interested in the new Boston. Twelve years ago Boston was better known for the setting of the TV show Cheers than the Boston Tea Party. I, like many people, was a big fan of the Cheers gang; I was excited to visit the replica TV show bar. My style of travel has certainly evolved in the last 12 years and now the thought of going where everyone else goes, or where everyone knows my name is about as exciting as going for a papsmear. With this trip to Boston, I was ready to get off the same ole tourist trail and seek out more unique travel experiences. 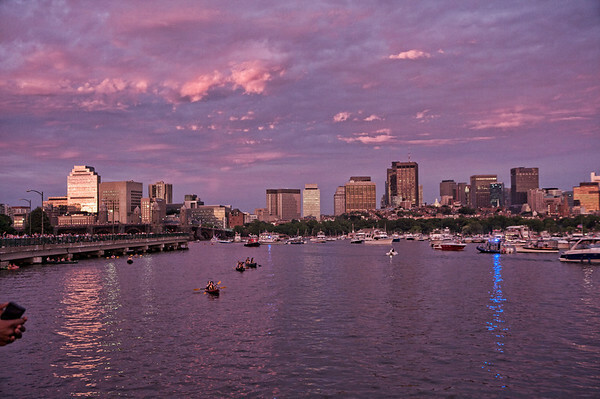 Boston is visited by millions each year walking the Freedom Trail, riding on Duck tours, watching the Red Sox, drinking at Cheers Bar, and sampling the famous clam chowder. If you are tired of doing what everyone else does, then it’s time to get off the tourist track…and onto the Ottsworld track to Boston!